My entire military career was spent in wheeled and track vehicle maintenance. After spending years as an Automotive Maintenance Warrant Officer I can tell you the United States Army has an exceptional maintenance program, if it is carried out properly. The backbone of the program is preventive maintenance checks and services. At the operator level, vehicle operators are taught to perform preventive checks on their vehicle and equipment prior to using it. They follow a checklist, and they record deficiencies they find on a form and turn it in to the motor pool before the vehicle can leave. 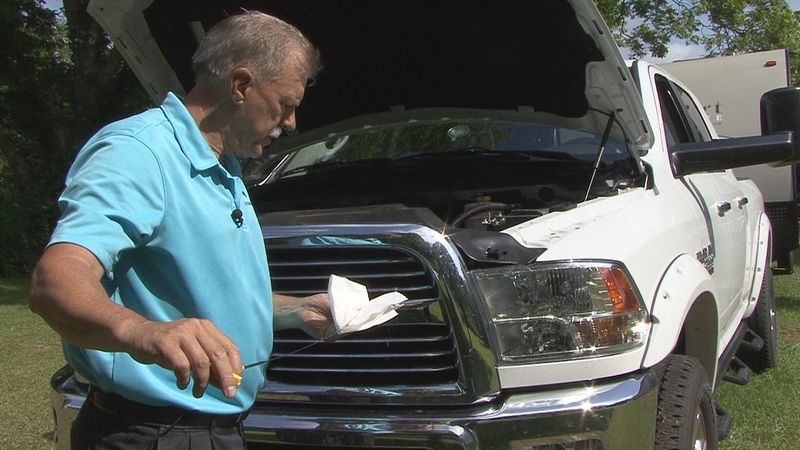 If the deficiencies are minor the vehicle can be used, but if there are major deficiencies (like a bad oil leak) the vehicle must be repaired before it can be used. The idea is to identify problems early, before the problem gets worse, preventing the vehicle and the operator from completing their job or mission. That brings me to today’s topic, RV Pre-Trip Checks. Just like in the military, making RV pre-trip checks can be the difference between an enjoyable RV trip, or possibly being stranded alongside the Interstate, miles away from home or your camping destination. So, it’s a good idea to make a few simple checks before heading out on the first camping trip of the year, but what exactly should you check? 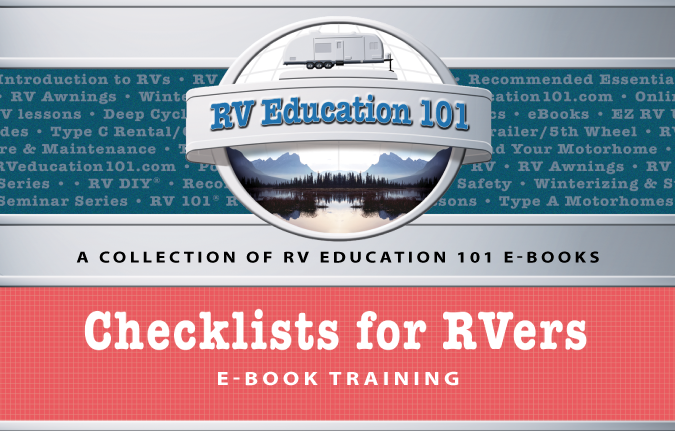 Regardless of the type of RV you have here are a few checks to include in your RV pre-trip checklist. Check and adjust the air pressure in all tires. Always check the tires when they are cold, before traveling more than one mile. Adjust the inflation pressure to the manufacturer’s recommendation based on the load. Inspect the tires for any irregular wear, and for any checking or cracking on the tires sidewalls. If you notice any of these items have the tires and vehicle inspected by a qualified service facility. This includes any tow vehicle, or vehicle towed behind a motorhome. Check the lug nuts on the wheels. Discoloration and stains around lug nuts can be an indication they are loose. Make sure all items in the exterior storage compartments are secure. Lock all outside compartments. Make sure the power cord, drinking water hose, and sewer hose are disconnected and properly stored. Raise all stabilizer jacks or hydraulic leveling jacks. Make sure all slide-outs are retracted in the travel position. Make sure the TV antenna is stowed in the proper position for traveling. Check the awning. Make sure it is securely stored and all travel locks and knobs are tight and locked. Look under the RV (motorized) or tow vehicle for any indications of leaks or anything out of the ordinary. Have any leaks checked and repaired before leaving on your trip. Stow or retract the steps. Fill the fresh water holding tank with enough potable water to get to your destination. 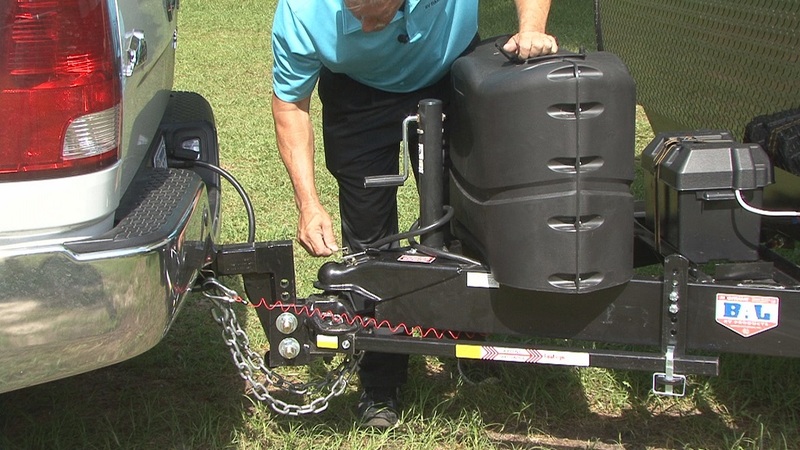 Double check all hitch work on towable RVs and on vehicles being towed behind a motorhome. It’s easy to forget a step when you install hitch components. This is why I recommend using a checklist, and double checking your work prior to leaving. When everything is securely fastened perform a quick brake check. Pull the vehicle forward slightly and tap the brakes. You should feel the trailer brakes or dinghy brakes engage and slow the vehicle down. Check all running lights, turn signals, brake lights and headlights on the RV and tow vehicle. Check all safety devices for proper operation. This check includes fire extinguishers, smoke detector, LP gas leak detector and carbon monoxide detector. 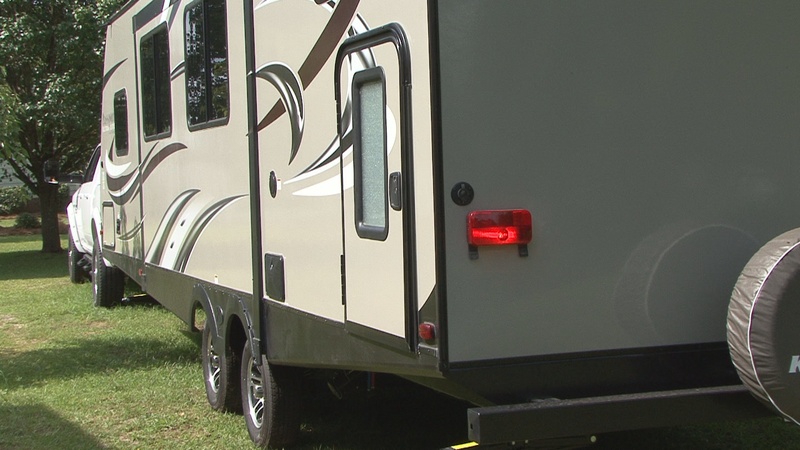 Make one final walk-around of the RV looking for anything you forgot or overlooked. 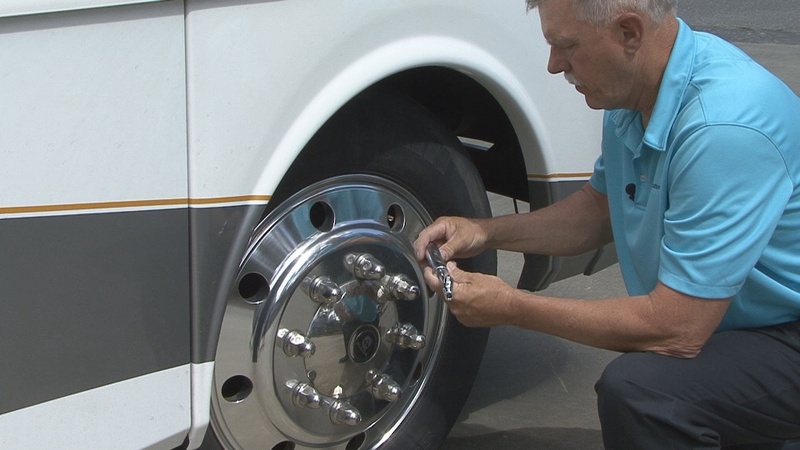 This is a good start to an RV pre-trip checklist to help get you where you are going. Use these checks and tailor your own pre-trip checklist specific to your needs.